The Gateway | Last Hurrah! Home > Calendar > Last Hurrah! 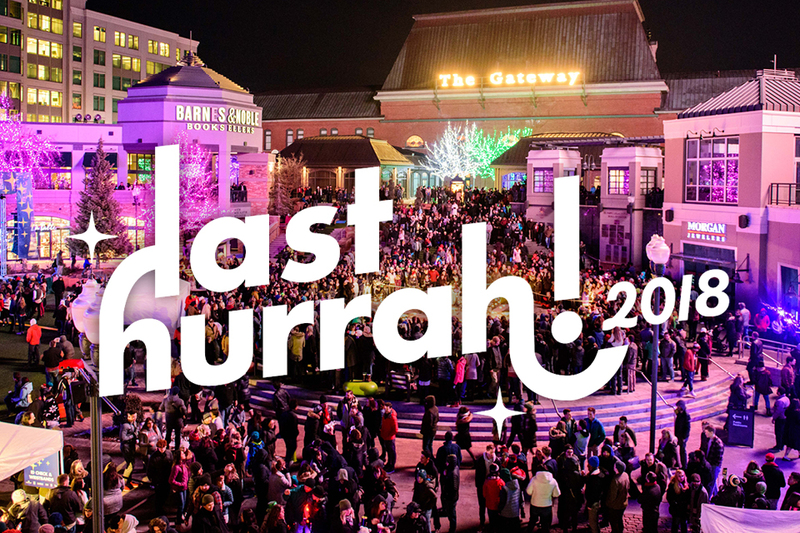 Downtown SLC Presents, The Gateway and S&S Presents are excited to announce Last Hurrah 2018, presented by Strong VW, Coors Light and Rockstar Energy Drink US. This free event will be open to the public on New Year’s Eve, from 8 PM-midnight. Featuring live music on outdoor stages, as well as indoor games, food trucks and pop-up bars, Last Hurrah will be Utah’s largest countdown celebration. Draft beer, wine and hot chocolate will be served throughout the event. There will also be activities at Discovery Gateway Children’s Museum, a plethora of bars, lounges plus game rooms with giant games and more.